Over half of seller’s agents estimate that staged homes sell faster and for more money. 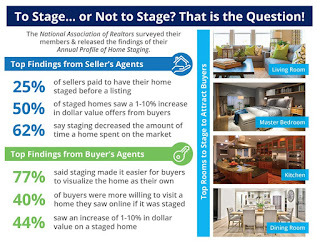 Almost ¾ of buyer’s agents said staging helps potential buyers see the home as their own. 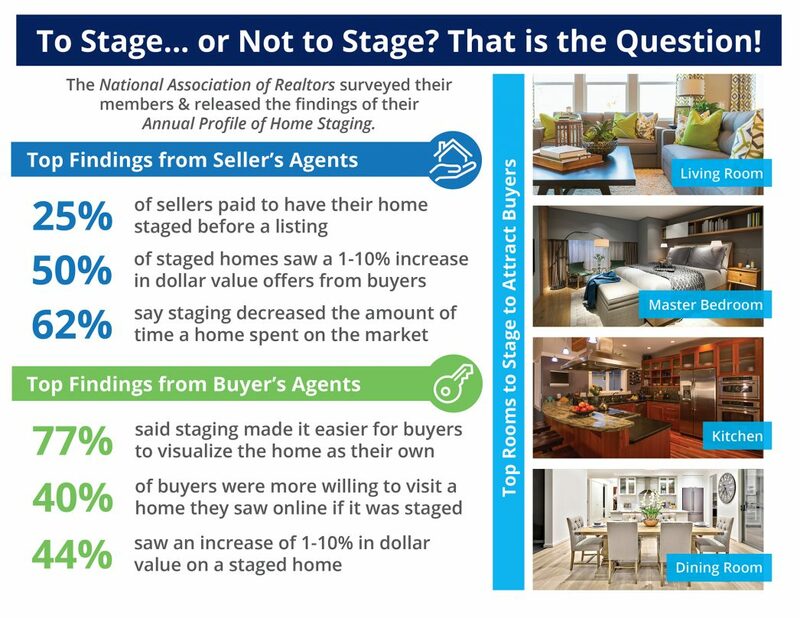 Great reasons for staging! I’ll add one more thought. Empty homes are much more difficult to sell. If you must move on before your home is marketed – consider paid staging or home tenders as an option. Either helps sell your home. Access - Getting Your House SOLD! 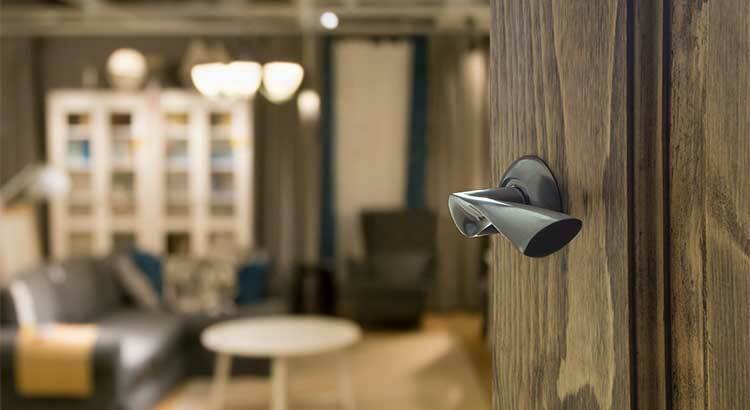 If you want your home sold in the shortest amount of time, there are many factors to consider. Not the least of which is access. You don’t want to be a seller who does not want to be inconvenienced and show your home only on certain days of the week and within certain hours. Flexibility is key! Have a closer look at today’s report – link above.